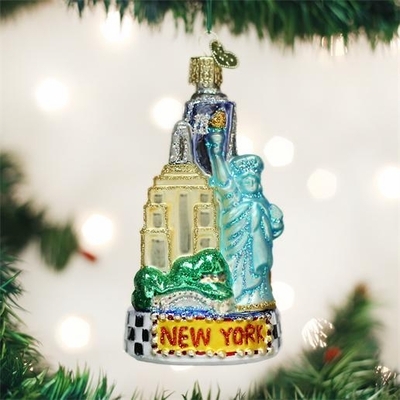 Home > Old World Christmas - Traditional Glass Christmas Ornaments > Old World Christmas Glass Ornament - "New York City"
New York City is a top tourist destination. Over 50 million people visit the big apple each year. With so many things to see and do, such as the Statue of Liberty, One World Trade Center, the Empire State Building, Broadway, and Central Park, it is easy to understand why so many visit each year.